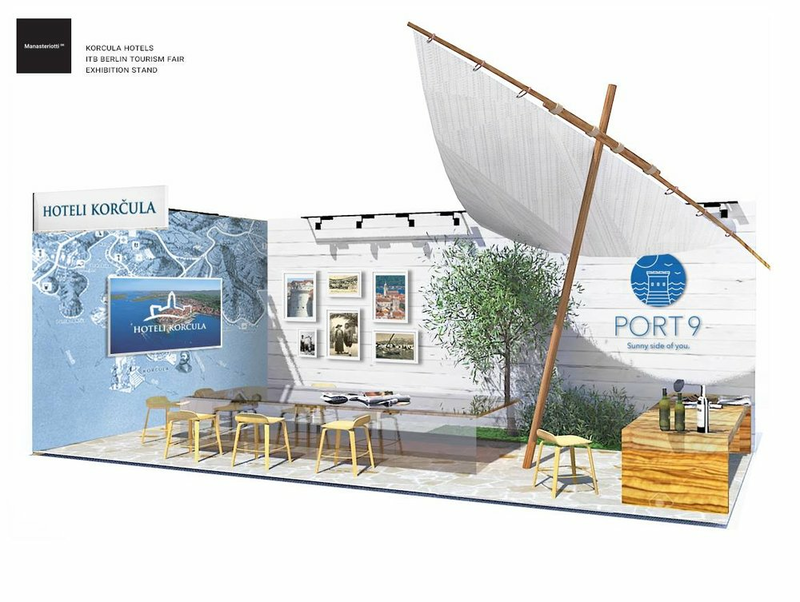 In summer 2017 we designed the visual identity for Port 9 Resort, a project that included stationery and collateral materials, resort wayfinding system, website, souvenirs. Research of the island, its geography, architecture, literature, and history has revealed inspirational stories that were either hidden or forgotten. 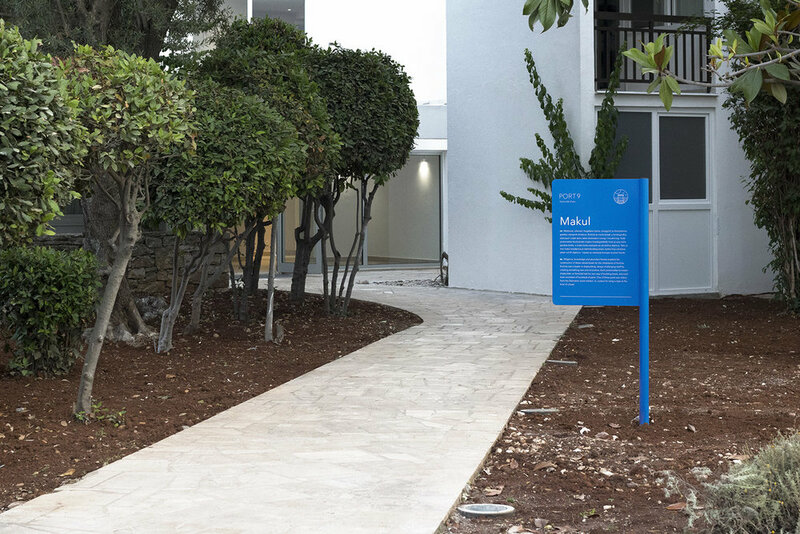 Brand story, developed by Fabular agency, evokes the forgotten worlds of medieval Korčula – the worlds of stonemasons, shipbuilders, fraternities and Marco Polo. Guests are invited to enter these worlds, to learn how to build medieval ships, carve stone, prepare traditional meals and listen to stories about the global travels of Marco Polo. The brand name illustrates the nine towers that encircled the medieval port of Korčula. Visual identity is simple and clear, with a strong accent on the adriatic feeling using blue and white colors and stripes. The logo depicts a view of the port tower as seen through a looking glass – they way a traveller would see it if arriving by sea. Port 9 is advertised as a family hotel, inviting, approachable and friendly, so the logo uses an illustrative style.